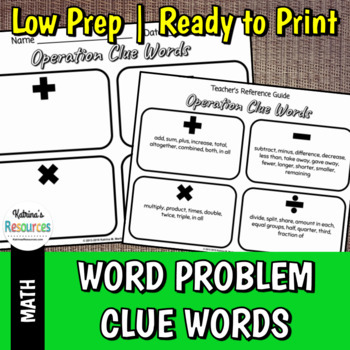 Review key words for addition, subtraction, multiplication, and division used in word problems. A great organizer to keep in your students' math notebook throughout the school year! Includes the blank organizer for your students and a teacher's reference guide with some key words to get you started.